America's Newest Aircraft Carrier: A '$15 Billion Floating Graveyard'? If worst comes to worst, Russia's latest hypersonic missiles could make the America's newest aircraft carrier design, the Ford class, a 'floating graveyard', says journalist and military analyst Sergei Ischenko. Later this year, the US Navy plans to accept the USS Gerald R. Ford, the most expensive and advanced warship ever put to sea, into service. Eventually, Ford-class carriers may replace all ten of the Navy's Nimitz-class carriers, starting with the USS Enterprise. Analyzing the new vessel and its weak points, Sergei Ischenko, a military analyst and columnist for independent Russian newspaper Svobodnaya Pressa, suggests that unfortunately for the US Navy, in the event of a conflict with Russia, America's latest and greatest carrier would effectively be turned into a giant floating graveyard. And those aren't his words, but those of American analysts themselves. "The Navy's gigantic new aircraft carrier, capable of accommodating up to 90 aircraft and aerial vehicles (including drones and the F-35 fifth generation attack aircraft), has already received a series of enthusiastic epithets about its high level of automation, and its record $15 billion cost," Ischenko recalls. At the same time however, "a series of respected American military experts have already suggested that it may be possible that what the aircraft carrier really is a super-expensive, 'super-graveyard' for its crew of thousands. The huge ship, aspiring to become a symbol of America's power on the oceans, may become obsolete before it is even completed." Last month, Harry J. Kazianis, a military analyst and senior contributor for the Washington-based foreign affairs magazine The National Interest, said as much in an article. "Countries with the technological means, specifically great powers like China and Russia –nations the Pentagon considers as the main big challenge for the US military – are developing cruise missile platforms that can strike from long-range and en masse from multiple domains," Kazianis noted. "Such weapons…if accurate, using highly trained crews combined with the means to find their target on the vast open oceans –could turn America's supercarriers into multi-billion dollar graveyards for thousands of US sailors." "And Harry Kazianis is not alone in offering such an opinion," Ischenko recalled. Also last month, in an op-ed for Politico, retired US Navy Captain Jerry Hendrix, a defense analyst for the Washington-based Center for a New American Security, suggested that the golden age for US carriers ended the moment when China and Russia began introducing long-range coastal missile systems into the ranks of their militaries. "Hendix," Ischenko writes, "is convinced that in case of war, the capabilities of Russian and Chinese anti-ship cruise, ballistic missile and air defense forces would force US Navy carrier strike groups (CSGs) to stay hundreds or even thousands of kilometers from the enemy's coast, which would make strikes from their carrier-based aircraft against ground targets ineffective. Additionally, any CSG movement is easily observable from space, enabling the US's opponents to position their countermeasures ahead of time." "The arithmetic here is simple: the main strike capability of the contemporary US Navy consists of its air wing, consisting of 30-40 F/A-18E/F Super Hornets. The combat radius of these aircraft is about 800 km. For the Super Hornets to able to even threaten to conduct air strikes against targets on the shores of enemy territory, they would have to take off 400 nautical miles from their targets." "However," the analyst continues, "if the US Navy CSG were to attempt to make it to say, the Russian shore, it's unlikely that it would reach its destination, because, far from its target, it would be attacked by the Tu-22M3, a supersonic long-range bomber equipped with the Kh-22 anti-ship missile, designed back in the Soviet period specifically for use against aircraft carriers." Tupolev Tu-22M3 strategic bombers flying past the Kremlin during a rehearsal for the parade marking the 70th anniversary of victory in the Great Patriotic War, May 2015. "Each Tu-22M3 is capable of carrying up to three such missiles. Moreover, the missiles can be fitted with a nuclear warhead." The Kh-22's latest modification, the Kh-22M/MA, has an operation range of 600 km (320 nautical miles), delivered at Mach 5, and carrying a payload of 1,000 kg of RDX. 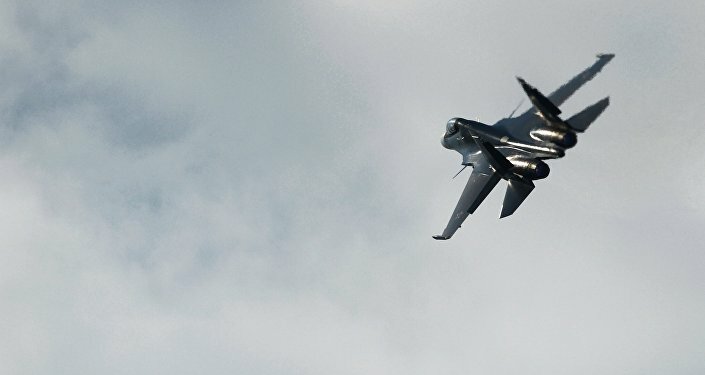 "The range of the aircraft itself is practically unlimited, since it is possible to refuel from the air," Ischenko notes. A Raduga Kh-22 anti-ship missile under the wing of a Tupolev Tu-22M supersonic long-range strategic and maritime strike bomber. "And if by some miracle the US CSG were to evade the air-based missile strike, closer to our shore the ships would come up on the firing range of the K-300P Bastion-P mobile coastal defense missile system, equipped with the P-800 Oniks supersonic anti-ship cruise missiles [known in export markets as the Yakhont, with an operational range of 600 km [the export variant's range is 120-300 km, depending on altitude]." Russia's Bastion-P coastal defense missile system during a parade rehersal. "Right now, the Bastion-P is deployed near Sevastopol, Anapa, the Kola Peninsula, Novaya Zemlya and the Kurile Islands. There is reason to believe that in the near future these systems will deploy for combat duty near Kaliningrad and in Kamchatka. Additionally, plans exist to deploy the first 'Bastion-S', a silo-based system with up to 36 anti-ship cruise missiles, in Crimea by 2020." Among the Oniks's key features is its low profile flight (sea-skimming) capability, which allows it to defeat electronic countermeasures and fly under enemy fire. 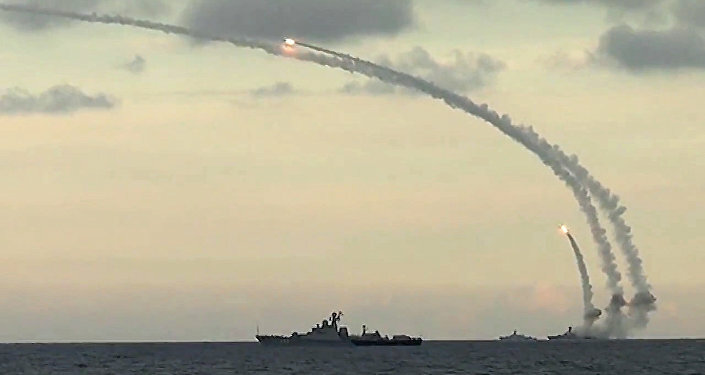 Moreover, Ischenko recalls that the missiles' 'swarming pattern' of attack means that even if part of them were damaged or destroyed, "the remainder are guaranteed" to find their targets. "Then there are the Russian multipurpose nuclear submarines, which can also find themselves in the CSG's way. For example, the K-560 Severodvinsk, the lead unit of the Project 885 'Yasen', is capable of carrying up to 32 Oniks missiles." "Then of course, there are the small missile ships, which recently became famous all around the world, with their Kalibr cruise missile," which feature the 3M54K and 3M54T anti-ship variants. Finally, "there are the Varszawianka (Kilo-class) submarines, equipped with the same weapon, and 3K60 'Ball' coastal defense system, featuring the Kh-35U missile," whose maximum range has recently been upped to 300 km. The GRAU 3K60 'Ball' coastal defense system. "But even all this," Ischenko suggests, "will seem like a baby's toy, if Russia will be able to start mass production of the 3M22 'Zircon' hypersonic missile. By all appearances, several such missiles have already been tested and put into service. 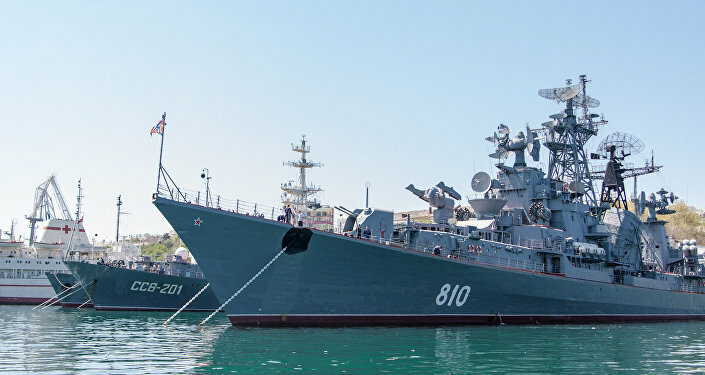 A few days ago it was announced that the the Admiral Nakhimov heavy nuclear missile cruiser, presently undergoing modernization at the Severodvinsk port, would be equipped with such missiles by 2018." The Admiral Nakhimov heavy nuclear missile cruiser, presently undergoing modernization. "The range of the Zircon remains a secret, with some experts saying that it at least matches the Oniks. But the flight speed of the new weapon is several times faster, which dramatically reduces the time necessary to pass through any naval-based air defense systems and, consequently, effectively makes attempts to defend aircraft carriers and their support ships pointless." "Moreover, because the Admiral Nakhimov's rearmament implies that the launchers onboard will be capable, depending on the mission, of launching the Oniks, the Zircon or the Kalibr, it's logical to assume that the weight and size characteristics of the missiles will be maximally universalized." If this is the case, the analyst notes, "it would mean that the latest Russian hypersonic cruise missile could also equip the 'Bastion' shore-based systems, thus precluding the possibility of carrier groups approaching [Russia's shore] even for a brief period." Ultimately, Ischenko notes, "it is logical to assume that these facts are not a secret to American experts, whose writings have almost 'buried' the multi-billion dollar Gerald R Ford directly in its shipyard. What's their solution?" Kazianis, in his piece for The National Interest, "is convinced that there is an urgent need to develop long-range unmanned drones, capable of launching from the deck of aircraft carriers. Apparently, their range should be sufficient to ensure that they can fire without entering the range of Russian coastal defense systems." "I am afraid that if we don't give America's most expensive weapon of war the platforms it needs to strike from range, the aircraft carrier could join the battleships of yesteryear as floating museums sooner rather than later," Kazianis noted. "However, as the author himself complains, the Pentagon, for now, has no intention to create such UAVs. Secondly, who was it that promised Kazianis that Russia would not simultaneously take up efforts to increase the flight range of its anti-ship missiles?" Ischenko bluntly concludes. What Role Will Russia Play in the US-Chinese South China Sea Drama?